From the time Reverend Edward Cummings bought Joy Farm, he relied on local residents to take care of the property and his family. 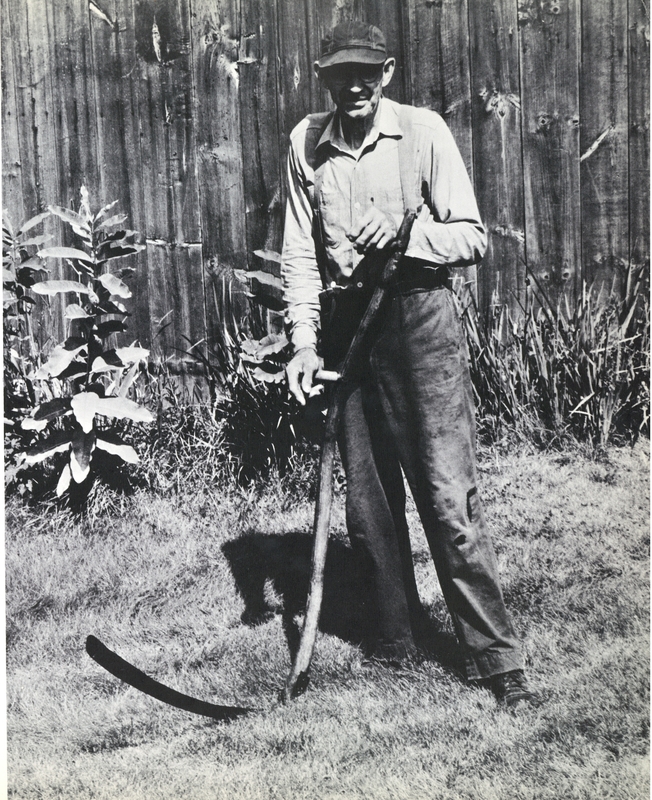 Builder, mason and handyman, Sam Ward was the first, and one of the most important, caretaker at Joy Farm. After, Edward Cummings’ death in November of 1926, Sam Ward continued to work for Estlin. When Sam was no longer able to work for Cummings, Jess Shackford and his wife, Pauline, whose farm was nearby on High Street, took over. A close knit family, several generations of Shackfords have worked for E.E. Cummings and the love of his life, the model and photographer, Marion Morehouse. In their collaborative book, Estlin and Marion photographed and wrote about several Silver Lake friends and neighbors, including Sam and Mame Ward, Minnie Frost who did laundry and cleaned at Joy Farm, Frank Lyman from whom Marion bought eggs, and Jess Shackford. Jesse Shackford, Jr. ( Bud) and his wife, Ruth, took over as caretakers when Jess and Pauline retired. 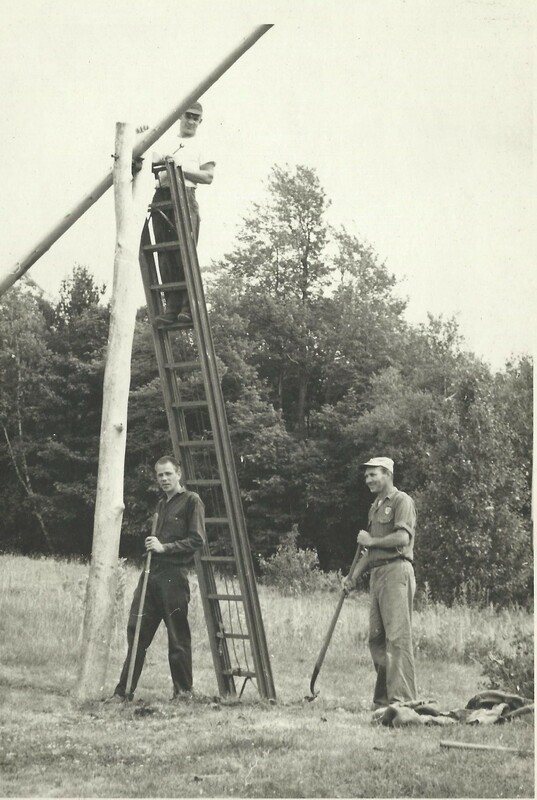 Bud and his brothers, Loren and Mayhew repaired the well sweep at Joy Farm. When they realized that the original sweep had not been installed properly, being precise New Englanders, they corrected the mistake and made it right. Marion immediately saw that something was different and insisted that it be put back the way it had been, even if it was wrong! Then she took their photo. Estlin and Marion travelled to Silver Lake by train. Once passenger train service ended to the Silver Lake station, Ruth Shackford would drive to Dover, New Hampshire to meet the train and take the Cummings to Joy Farm. Estlin would sit up front with Ruth and talk the whole way back. After E.E. Cummings’ death in 1962, Marion Morehouse donated his letters and papers to the Houghton Library at Harvard. There can be found copies of the letters he wrote and letters he received. 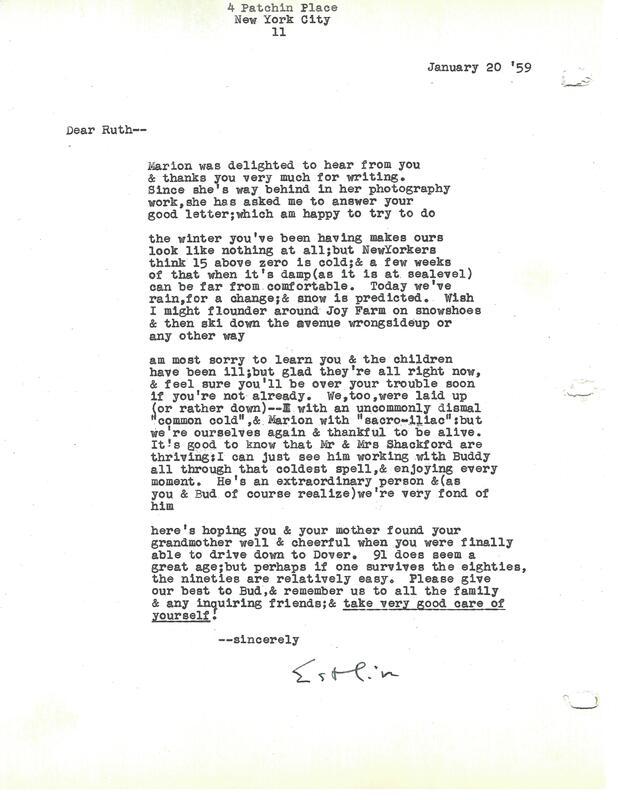 A substantial number of these letters were correspondence between Estlin Cummings and Ruth Shackford. During the E. E. Cummings at Silver Lake Celebration Weekend, Ruth Shackford and her son, Jesse E. Shackford, III will read letters from Estlin and, with other long time Silver Lake residents, share memories of him.